When I discovered that what we were pitching was Bloodlines 2, I was beyond excited. Not only because Paradox has released some games that I give much of my free time to, but also because I am a huge World of Darkness fan. I wish I could tell my LARPing younger Ventrue self that she would one day be working on this game. Turns out I wasn’t the only one: One of the wonderful things about World of Darkness and Hardsuit Labs is that we have a lot of fans in the team. There’ve been off-hours Vampire tabletop games in the conference room since before the project properly started. Those who were new to the IP were gently introduced to the fandom and have also embraced it. Nowadays, Hardsuit Labs is a good mix of seasoned veterans and recently bloodied developers of many different backgrounds. One example of strengthening this mix is Cara Ellison, who joined us early last year. Cara's known to some for her work as a journalist (at Rock Paper Shotgun et. al), to others for her work on Dishonored 2... and to even fewer for her testing on GTA4. We value our diversity of experience and the diversity of us as individuals; we know this brings more perspective to our work and company culture, and ultimately creates better games. For Bloodlines 2, this team is putting all its passion and motivation behind the narrative of Brian and Cara. We can’t wait for you to sink your teeth into it! It's a start, I guess. I wonder if they're going to publish these on a weekly basis as with Paradox's own titles. 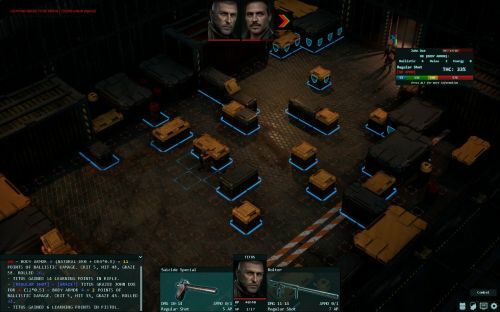 There are 7 comments on Bloodlines 2 Dev Diary #1: Who is Hardsuit Labs? Become a member at Norges Casino online and get an exclusive welcome offer! Send one loan application to Forbrukslan.com - Get offers from 15+ banks. Visit our sponsor LiveCasino.com to discover live casino at its best! Visit our sponsor Spelautomater.se to play exciting games for free! Rock Paper Shotgun and PC Gamer have published previews of Fallen Heroes. 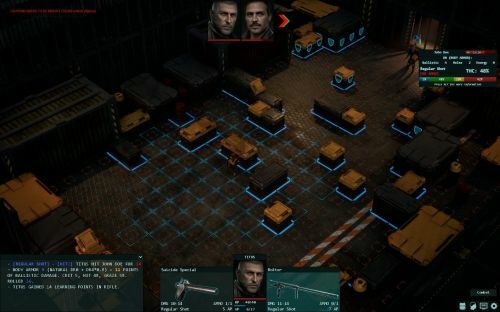 Both sites mention that combat now uses an XCOM-like turn order rather than Original Sin 2's controversial round-robin system, so that's good news. Perhaps at PAX East this weekend we'll learn whether the game addresses its predecessor's other flaws as well. That's some delightfully chunky pixel art. Legends of Amberland is available on Steam now for $25, with a 10% launch discount until next week. 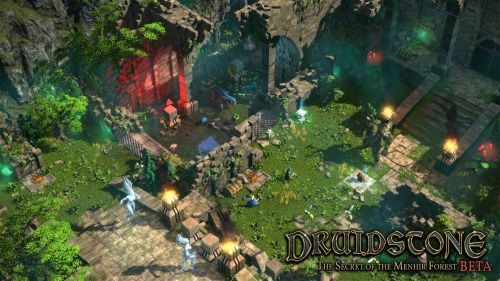 As the Early Access FAQ states, the game's final release is expected in June. Jason Anderson is the most low-key member of the trio that created Fallout and went on to found Troika Games. For the past eight years he's worked for multiplayer shooter studio Turtle Rock, creators of Left 4 Dead and the failed Evolve, and for a long time it seemed that the RPG world had lost him forever. The gaming industry has been undergoing many changes in recent months however, and it looks they finally reached him. Thanks to a tweet from Chad Moore, another Troika vet who recently made the same move, we learned yesterday that Jason has joined inXile Entertainment. Against all odds, the Troika has been reformed under Microsoft, albeit split between two different studios. Was this your plan all along, Phil Spencer? Jason actually briefly worked at inXile a decade ago, so this is a homecoming in more than one way. Let's hope he and Chad are working on something good. As you can see from the replies, many people are upset about this. Patrice Desilets' Ancestors: The Humankind Odyssey, another Private Division title, was also announced as an Epic-exclusive at the keynote, so it appears to be a publisher decision. If you're an Epic-hater at least you've got the Microsoft Store option, although that means dealing with UWP or whatever it's called. That animated SHODAN won't be to everybody's liking, but otherwise the game looks certainly looks more impressive than Underworld Ascendant. OtherSide still don't have a new publisher, and I imagine that with this prototype they intend to attract one. We'll see how that works out for them. 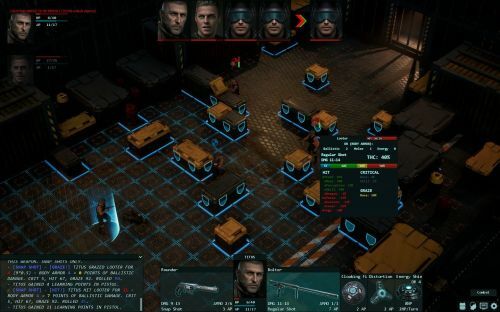 The Colony Ship combat demo has taken a bit longer to finalize than Iron Tower hoped for, mainly due to issues with getting armor to appear on characters properly as well as a lack of portraits. For that reason, this month's development update is very similar to the previous one - a progress report and a batch of screenshots. The most visible new feature of the game's latest build is a mouseover targeting info display. We made good progress with things that matter (but hard to show) like programming, balance, and scripting but poor progress with relatively minor but highly visible things like armor models and portraits. As (probably) mentioned previously, the demo is fully playable and has 14 fights, 2 of them optional. We're still playing it on a daily basis, ironman-style as there's no save/load system yet, so the demo has already received 2 balance updates as a result. The engine is great and very stable. I didn't have a single crash yet (despite daily updates); there were some occasional freezes earlier (for example, if one enemy knocks you out and his helpful buddy shoots in the face, scoring a knockdown) but I didn't have any in my last 2-hour long play session. The feats are now working and two gadgets out of three are done (the energy shield and the distortion field). All gadget parts (each gadget consists of 3 upgradeable parts that increase its properties such as shield's regen rate or damage resistance) are nicely modeled and textured. The main new addition is the targeting info (see the screens below). It gives you a full THC breakdown, which will help the player to understand how it's calculated and helps us make sure that bonuses and penalties are implemented properly. RNG is working great, so far the balance between hits and misses is perfect. So far the armor thing (the delay) is our biggest problem, which is a good indicator as I can think of worse things to screw up. It's slowly moving forward, so I hope that we'll have it done in 3 weeks. Similar to the weapons, the armor is split into 2 main categories: common Ship-made ballistic armor and rare Earth-made combat and anti-riot armor. You can expect 10 unique models for each category: helmet, body armor, jacket/coat, boots, goggles, mask/respirator. Right now we have about a third (talking about the models). The wait continues. Check out the full update for a few details about the combat scenario showcased in the screenshots. 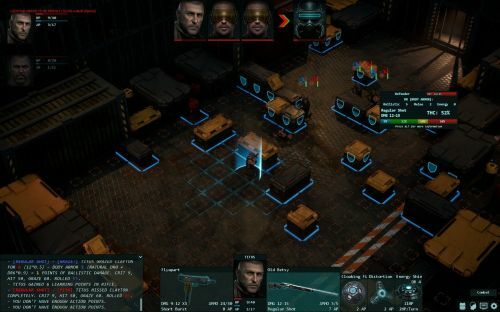 Phoenix Point, everyone's most eagerly anticipated nu-xcom-but-not-really-actually-nu-xcom spiritual successor of X-COM by none other than Julian Gollop, the creator of the X-COM series, has been going through some interesting developments ever since it was successfully crowdfounded at Fig. I have some major news to share: we have signed a deal with Epic Games to bring Phoenix Point exclusively to the Epic Games Store for its first year of release on PC and Mac. This deal is a real game changer for our studio, because, thanks to Epic’s support, it is certain that we will be able to update and expand Phoenix Point for years to come. Good guys provide their fans with multiple options and Snapshot Games are no exception. And in case you're worrying that any prospective refund made by you would harm the game's development, worry no more, because the community manager confirmed on the official Discord channel for the game that Phoenix Point can, and will, manage just fine without you. Truly gets the noggin joggin'!